Blythe McGarvie completed two years of full-time teaching and research in the accounting and management unit at Harvard Business School (HBS). Subsequently, in the 2015-2016 academic year, she lived in Zagreb Croatia with her husband as representatives of the US Embassy. In 2018, she served as a Commissioner for the NACD’s Blue Ribbon Commission initiative focused on adaptive governance: working with management to better assess and respond to complex, difficult-to-identify risks that would have a significant economic, operational, and/or reputational effect. For ten years, prior to teaching at HBS, Blythe served as chief executive officer and founder of Leadership for International Finance (LIF Group), offering a global perspective for clients seeking profitable growth. 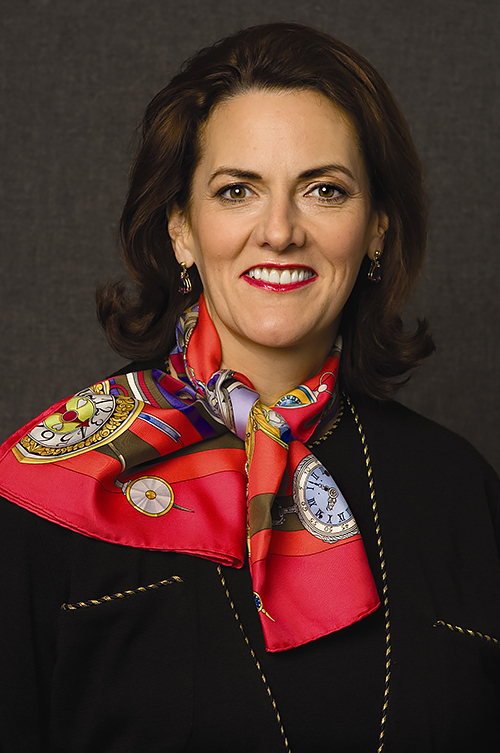 She serves as a member of the boards of directors of Apple Hospitality REIT (since 2018), Sonoco (since 2014), LKQ (since 2012), and privately-held Wawa, Inc. (since 1998) and formerly served on the boards of Accenture (2001-2017), Viacom (2007-2017), Travelers Insurance (2003-2011), Pepsi Bottling Group (2002-2010), and Lafarge NA (2004-2006). In 2018, Women Inc. named her as a 2018 Most Influential Director. In 2012, 2010, and 2008, NACD/Directorship selected Blythe as one of the Top 100 “Most Renowned and Influentials” in corporate governance. Prior to founding LIF Group, Blythe served as Chief Financial Officer and transformed the global technology of BIC Group, a French company traded on the Euronext. She was a pioneering Chief Financial Officer at Hannaford Bros. Co. as one of only ten female CFOs in the Fortune 500 in 1995. She has also served as the chief administrative officer – Pacific Rim for Sara Lee Corporation where she had responsibility for growing the business through acquisitions, improving the information technology and finance processes, and hiring leaders in Asia and South America. Blythe is a certified public accountant (CPA). She earned an MBA from Northwestern University’s J.L. Kellogg Graduate School of Management, which selected her for the Schaffner Award in 1992, presented annually to an alumnus who is preeminent in his or her field and who provided outstanding service to Kellogg. She is a member of the NACD, The Chicago Network and serves on the Lyric Opera of Chicago board of directors and the Poetry Foundation board of trustees. Her bestselling book, Shaking the Globe, subtitled Courageous Decision-Making in a Changing World (published by John Wiley & Sons in 2009) provides entrepreneurs and executives with research and action ideas to overcome obstacles in a competitive and interconnected world. She is the author of Fit In Stand Out, subtitled Mastering the FISO Factor: The Key to Leadership Effectiveness in Business and Life (published by McGraw-Hill in 2005).